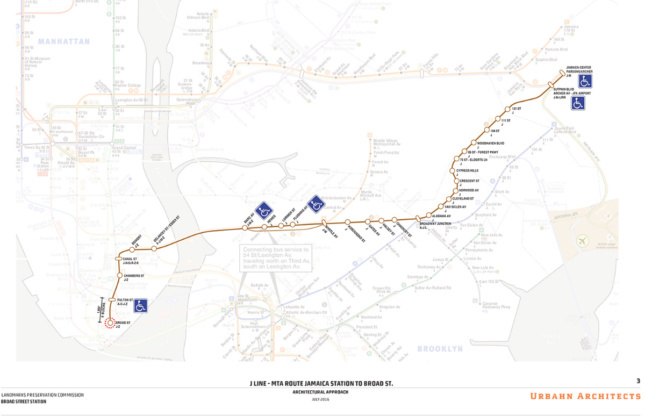 New York City‘s Metropolitan Transportation Authority (MTA) might be in a highly publicized “state of emergency” over its failing infrastructure at the time of writing, but much less attention is paid to how much it falls short in meeting federal accessibility guidelines. Only 24 percent of New York’s 472 subway stations are accessible overall; a fact not lost on disability advocates. 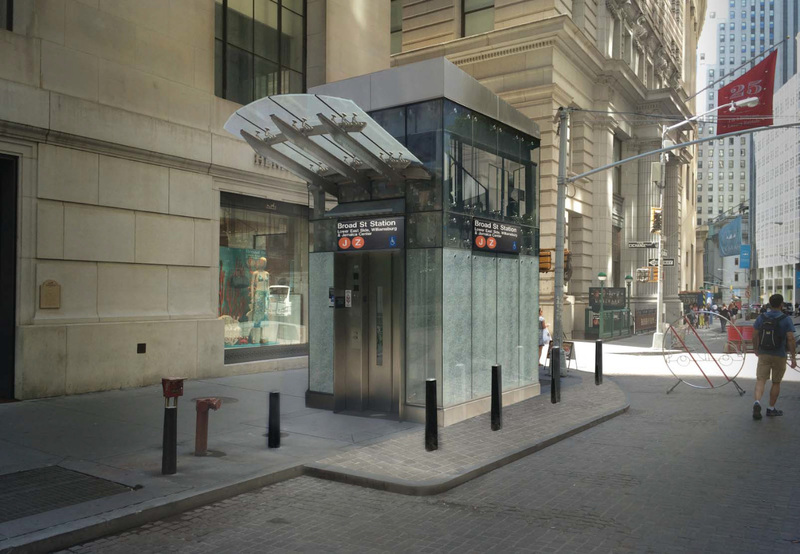 But a recent New York Times article highlighted a case of community-based opposition to new elevators that would make a downtown station more accessible. Only blocks from the World Trade Center complex in Manhattan, residents on Broad Street have been trying to push back against a $20 million pair of elevators that would connect to the J/Z Broad Street station on their block. The elevators are a concession on the developer Madison Equities’ part, in exchange for an extra 71,000 square feet of buildable area at the 80-story, mixed-use tower at 45 Broad St. Urbahn Architects will oversee the project. The elevators will provide access to a subway line that only has five accessible stations out of a total of 30. However, at a Community Board 1 meeting last month, approximately 270 residents of 15 and 30 Broad Street had signed a petition opposing what they called “dangerous structures.” Residents cited terrorism concerns, specifically a fear that the glass elevator booths would turn into shrapnel if a bomb went off. But disability activists have called the fear a thin veil for NIMBY-ism. As the back-and-forth over elevators at this particular stop continues, so do several lawsuits brought against the MTA by a coalition of disabled residents and advocacy groups. 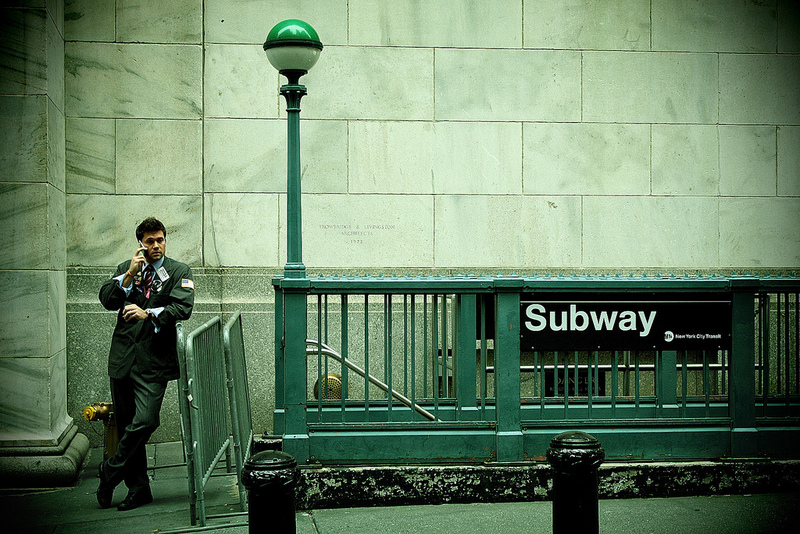 The lack of elevator-accessible trains directly contradicts the Americans with Disabilities Act, but the MTA has claimed that bringing such service to every station would be an undue financial burden. For its part, the agency has responded that they are already spending $1 billion to bring 25 stations into compliance and that overhauling the entire system would cost $10 billion. As the NYC subway system runs 24 hours a day, and because retrofitting a station typically modifies how service runs there for several months, any planned upgrades will likely stress the already straining subway service even further. Still, with some of the deepest and highest subway platforms currently inaccessible to disabled riders, and as funding for much-needed MTA fixes are up in the air, it remains to be seen whether these concerns will be addressed in the near future.